Your goods will be delivered by us safely and punctually to the place specified by you. We offer the complete range of transport and logistics services that are adapted to customer specifications. Irrespective of whether your shipment is to be carefully packaged, requires a quick or non-standard transportation, all you need to know is what, when, and where is to be delivered. We take care of everything else. Our department, which deals with the transport of goods by land, is available 24 hours a day, seven days a week. Our advantage is a well-equipped fleet, experienced drivers, logistics specialists, speed and reliability of transport services offered by us. 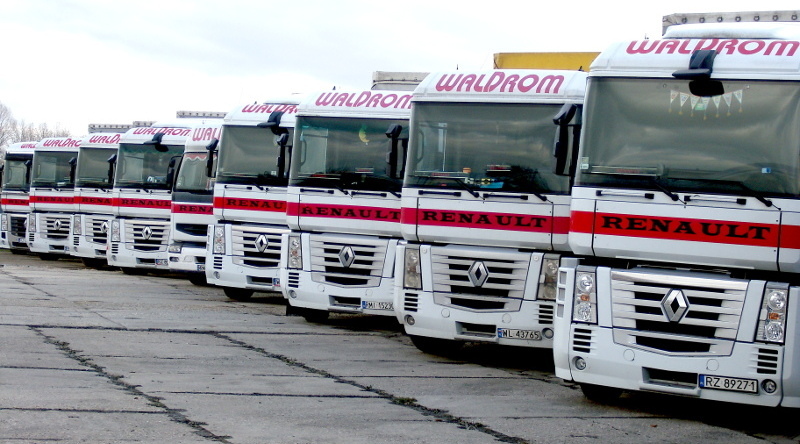 The company WALDROM specializes in transportation by Coil-Mulda trailers. Our customers in this field are production and trading companies of the steel industry. We cooperate closely with the companies Becker Stahl-Service GmbH and Kirchhoff Automotive. 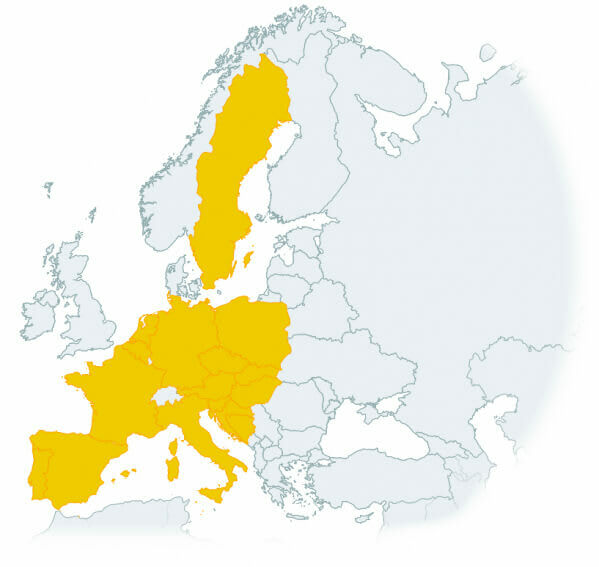 Our fleet includes also L4BH chemical tanks that provide cabotage services throughout Europe. We have the necessary qualifications and extensive experience in the transport of liquid and hazardous ADR products. In this area we cooperate closely with the company NYNAS z.o.o. 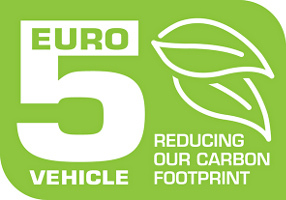 Safety and environment-friendly attitude to the transport are our priority; therefore all our vehicles are equipped with a GPS navigation system and fulfill the requirements of the EURO 5 emission standard. Our fleet is modernized every year. Our fleet consists of 32 vehicles. We own 22 Mulda semi-trailers and 10 tanks. 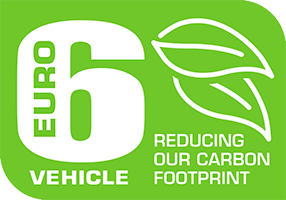 90 percent of our trucks are made by Renault; At present, we replace the EURO V fleet with EURO VI and intensify cooperation with Mercedes BENZ. 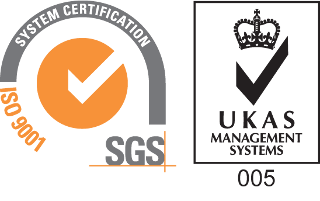 Our company has numerous certificates, including ISO 9001, which confirms the high quality of our services. All our vehicles have the fully comprehensive insurance. In addition, as part of operator protection, we have liability insurance for the carrier and forwarder up to the maximum amount of € 500,000. + most other countries of the European Union. We also provide successfully cabotage transportations in the aforementioned countries as well as transport services in Poland. Our company focuses on the development of international transport. Getting to know secrets concerning the transportation business, monitoring changes and implementation of new technologies has enabled us to build a strong and modern enterprise that is a reliable business partner.